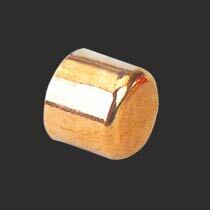 We are instrumental in manufacturing an assorted variety of Copper End Cap. The high-grade Copper End Cap supplied by us is widely used in diverse industries. These Copper End Caps are available in different dimensions in order to match varied requirements of the clients.